Everything in Easy Property Listings is carefully considered. We even carefully considered what to leave out. When you aim for the best mix of truly useful features without bloat, everything has to earn its spot. For those who like lists (and who doesn’t? 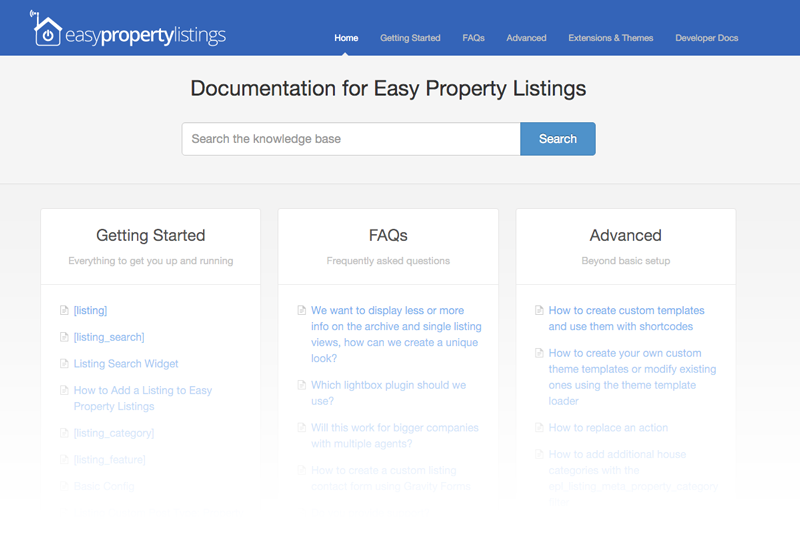 ), here’s a complete run down of the things you can do with Easy Property Listings 3.0. Easily integrated to any WordPress website. Create websites that present listings beautifully. Display listings in a responsive list or grid format. 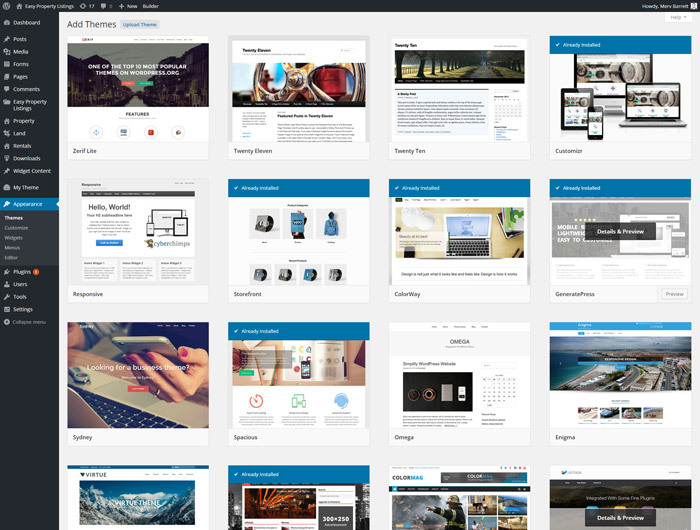 100s of ready to use theme templates available for free. No code necessary. Infinite options. Just select and save. Fully customisable and works with any Theme or framework. Personalise for your market in seconds. 100% responsive and mobile ready. No “technical” experience necessary, its easy to use. Built in help and tutorials if you get stuck. Quick to setup, publish and update your listings. The only plugin that lets you focus on listing and selling. Add listings in a fast and efficient way saving you hours. Start with the free version and activate add-ons as you grow. 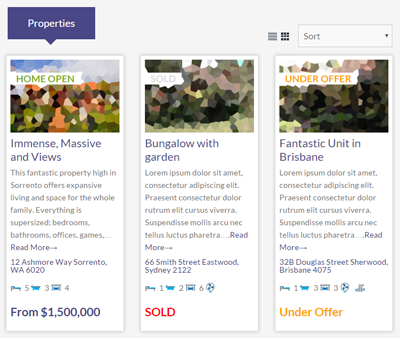 Shortcodes and widgets that let you filter, display and search listings. Advanced easy to customise widgets. 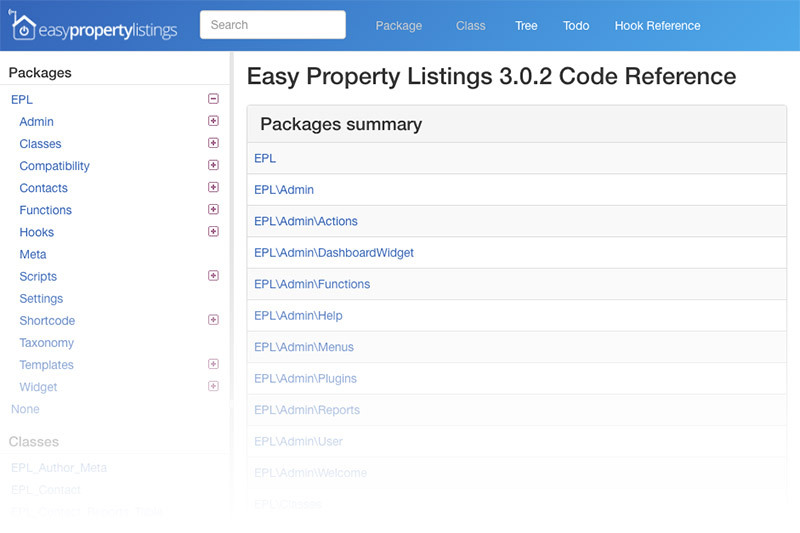 Packed with powerful shortcodes to display listings. Display and filter listings by any criteria with shortcodes. Randomly display listings with widgets, massive SEO benefits. Template system allows infinite display possibilities. Instantly generate an automatic open home list. Multiple agent details not a problem its built in. Instantly sort displayed listings by price, date, location. Link to virtual tours, floor plans, mini sites, and more. Agent profile box loaded with your social media and details. Visitors can add open homes to their calendar with a click. Flag listing, new, under contract, sold and customise. Photo gallery and Google Maps. Filled with rich and useful features that makes publishing listings online a breeze. Easily add, update and manage unlimited listings fast. Optimized for Search Engines (SEO) with separate listing types. Pricing system for today that you won’t find in any other plugin. 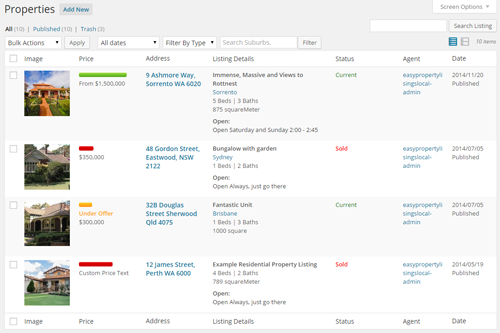 Attach landlords and sellers details to listings for quick access. Listings have different needs, this handles them all. 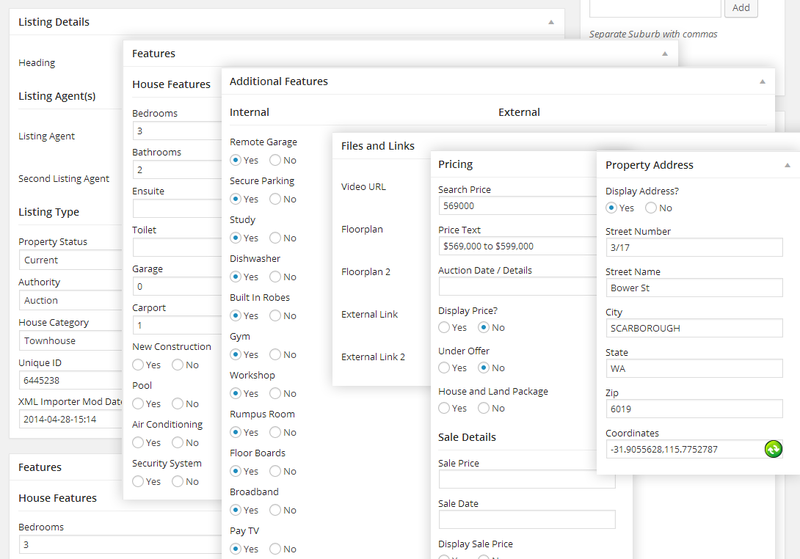 Complete real estate plugin built for any sized company or portal. Easy to sort, search and manage listings. Dashboard widgets gives you an instant overview. Important listing details available with a glance. Instantly track your real estate business. Prospecting that works how you do. 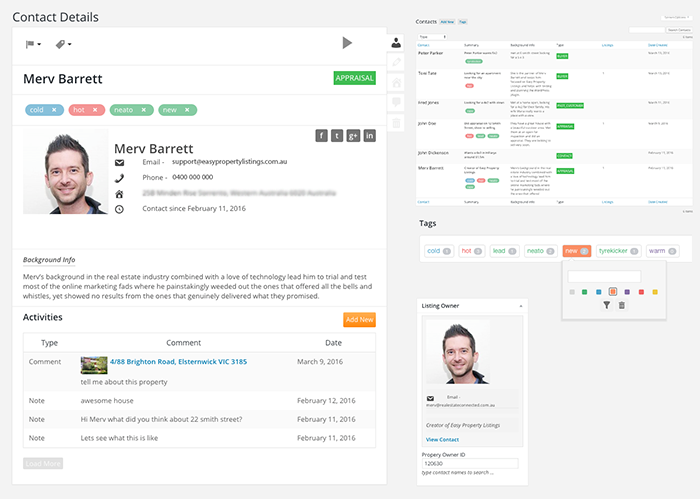 Capture contacts and manage leads. Tag contacts so they stand out as a priority. Email contacts, track conversations and activities. Save contact info for quick reference when prospecting. Work your leads and never forget to follow-up again. Instantly filter contacts by custom tags, just click. Beautiful graph of what your business is doing. Compare listings and sales, rentals and leased results. Filter listings by any period of time, instant KPI reports. 300+ listings on one map… sold! Advanced Mapping. Your a winner, be proud and show off your Awards. Let your happy customers share how good you are with Testimonials. Print customised Brochures and stock lists easily. Enhanced your agents online profiles with the Staff Directory. Location, location, location… Powerful SEO strategy with Location Profiles. Beautiful image Sliders with, thousands of possibilities. Let buyers and tenants know whats new with Email Alerts. Online CMA Market Reports automatically attached to your listings. Dedicated add-on for Importing Listings from CSV and XML. More add-ons in development to further extend an already awesome plugin. Fully customise to match your WordPress theme and design. Over 150 custom fields, 7 post types all pre-configured. The only plugin built to easily customise to match your design. Easy to understand API’s with detailed documentation. Customise the look and feel of the site exactly how you want. Clean CSS means you don’t have to spend hours un-coding. Add new templates in seconds and use with shortcodes. Modular templates that are easy to change. Your customer want features found on major real estate portals? All possible with Easy Property Listings. 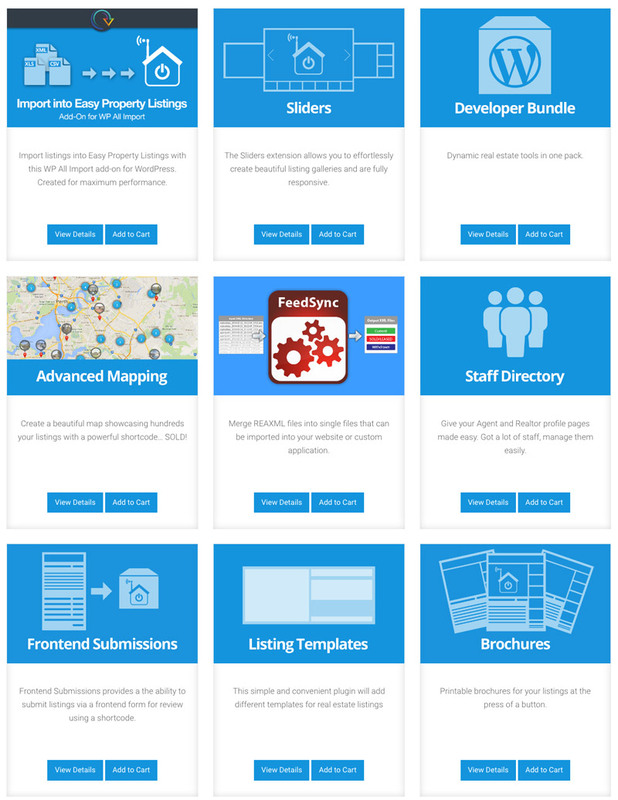 Complex real estate website development made easy. Filled with filters and hooks that allow full modification. Create a settings plugin and use it again on other sites. Plugin can be modified without much technical knowhow. Available in a dozen languages and 26 currencies. Upgrade your site with advanced add-ons. Extensive near instant response to support, we just want to help. Lots of free tutorials & how to videos. Free, easy to follow online documentation. Support plans for fast detailed help and theme setup. Get access to one year of setup assistance, trouble shooting, and access to one-on-one email support. Your responses will be answered as rapidly as possible. 5 stars with a happy smile. Great Support & Great Extension, Merv was really helpful from consulting to setting up, ended up buying extra add ons that have made the whole site development UI and UX a breeze, would recommend any of the extensions found on this site to anyone. Been busy with the listings, but finally we are online. This message is just to let you know that my client is very happy with this plugin (and when my client is happy I am happy too!). Thank you for your great plugin!